A new $1.25 million pilot program spearheaded by New York City Council Member Rafael Espinal will put electric school buses on the road in NYC, an effort NYLCV has supported. In addition, the City Council Environmental Protection Committee recently held a hearing on Council Member Danny Dromm’s bill, Intro. 455, to speed up the transition to cleaner school buses. 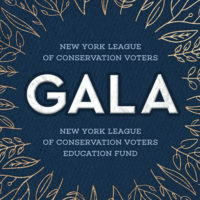 Join NYLCVEF at our environmental forum with Public Advocate candidates. 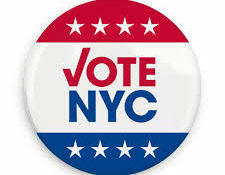 At a City Council Environmental Protection Committee hearing last week, NYLCV testified in support of groundbreaking legislation that would make New York City the first in the world to set carbon emissions standards for buildings, which generate 70% of greenhouse gases in the City. The City Council’s Committee on Environmental Protection held a hearing last week on legislation that would set greenhouse gas emissions for buildings over 25,000 square feet. Congestion pricing can be much more than just a subway-fixing fund. It could also enable the electrification of the city’s entire bus fleet – a move that would save fuel costs, reduce the city’s carbon emissions and improve air quality for millions of New Yorkers that live, work and learn along the city’s maze of bus routes. Film and TV production can be glamorous and it plays an important role in our local economy. It can also be wasteful, using fuel-guzzling generators, bulldozing sets and filling landfills with props and other leftovers from film shoots. Now, the industry that brought Technicolor to the world is institutionalizing sustainable practices on multiple fronts.